Rob Pelinka, general manager of the Los Angeles Lakers and previously the agent representing Lakers great Kobe Bryant. 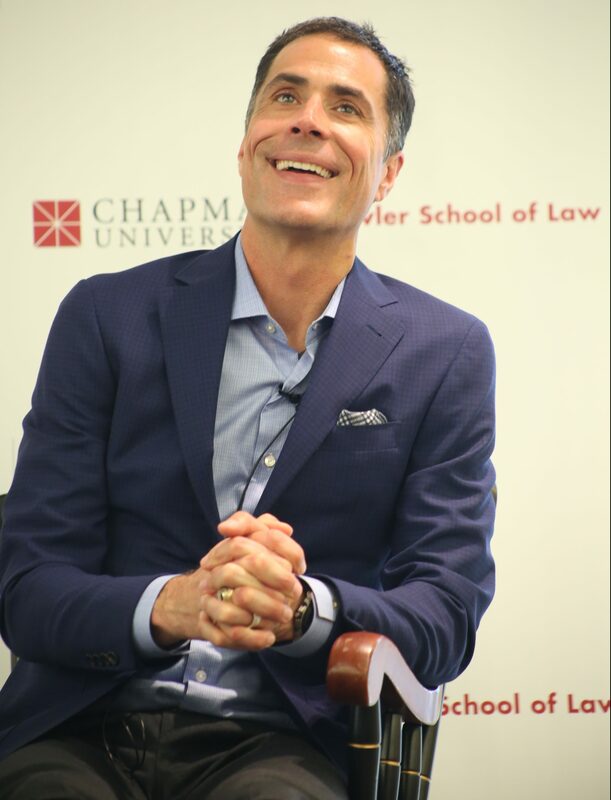 Pelinka spoke to law students and practicing attorneys at the Fowler School of Law’s 2018 Entertainment and Sports Law Symposium. 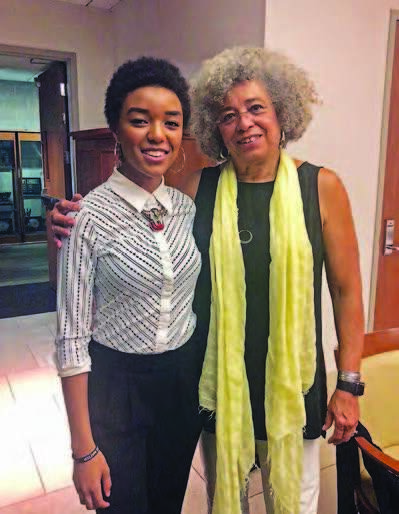 “Angela Davis is one of my idols because she is a leader who recognizes her own contradictions in life. Instead of simply stating what is right or wrong, she challenges everyone to ask themselves why they think the way they do. She is highly misunderstood in this regard. She inspires me to put myself on the line, but to do so in a way that will make lasting change. Sustainable activism was something she brought up in her speech. Many activists have a burnout phase, putting all of the pressure on themselves. 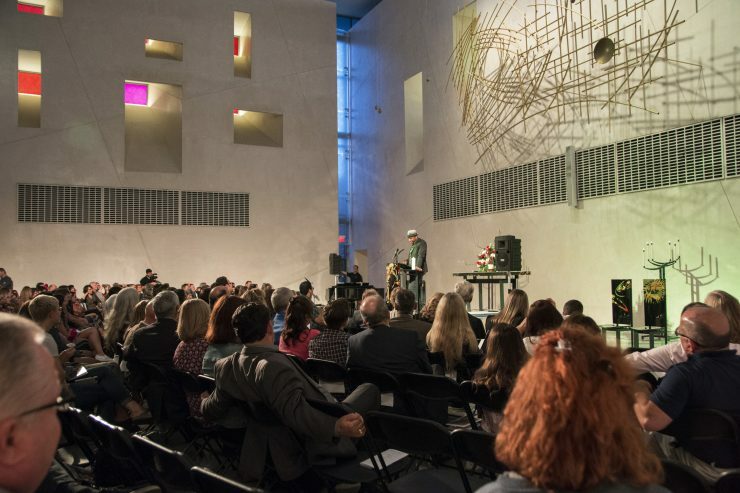 Sustainable activism is not only doing things to bring awareness but inspiring others to help. It is ensuring organizations are put in place to keep the task going when the “leader” is no longer able to do so. Arianna Ngnomire ’19, screen acting major, president of the Black Student Union 2017–18 and vice president of the Student Government Association 2018–19. 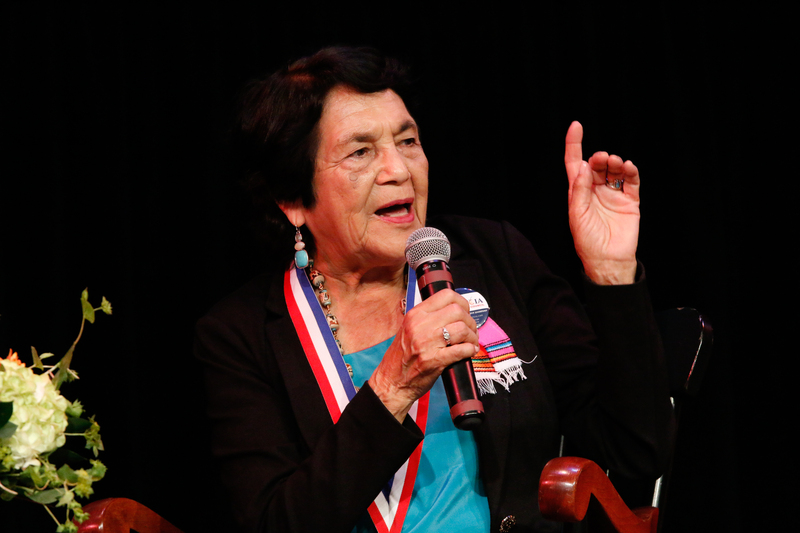 Ngnomire reflects on meeting Davis when the social activist, writer and distinguished professor emerita at UC Santa Cruz spoke recently in Memorial Hall. 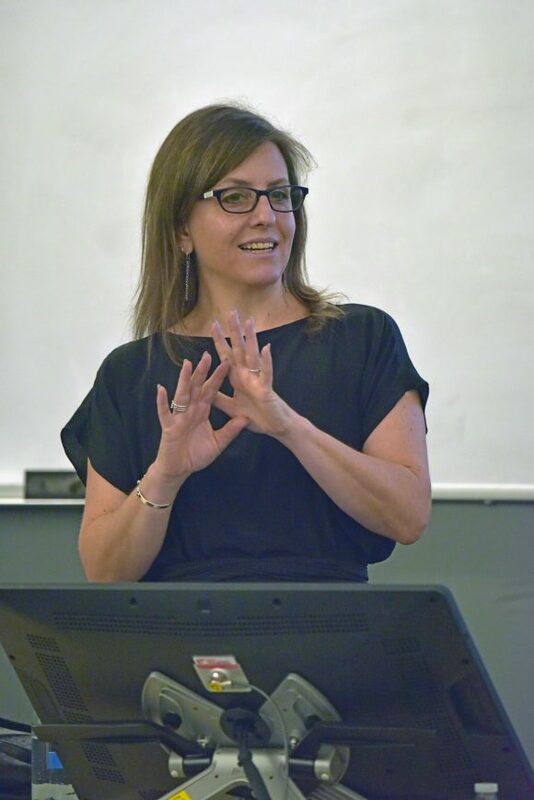 Rebecca Skloot, Chapman presidential scholar, science writer and best-selling author of “The Immortal Life of Henrietta Lacks,” speaking to students about a perceived erosion of public trust in science. 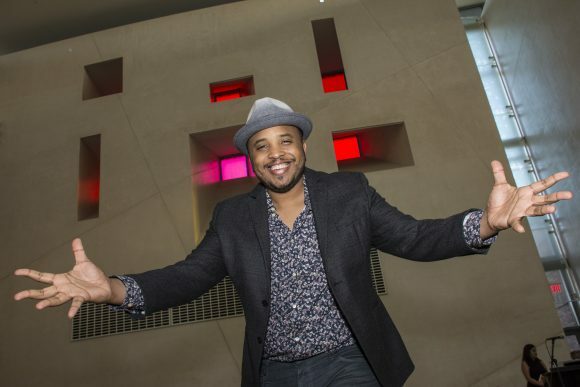 Justin Simien ’05, acclaimed filmmaker who wrote and directed the feature “Dear White People,” now also a Netflix series. 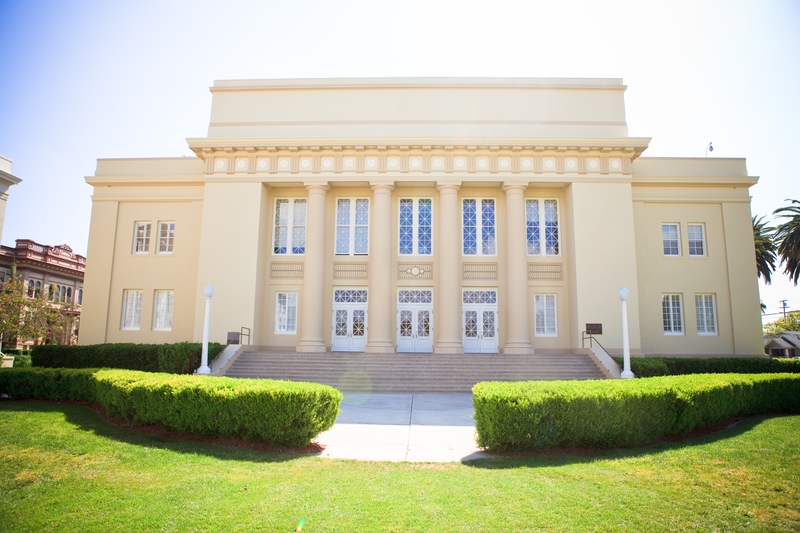 Simien gave the keynote address during Chapman’s recent Baccalaureate ceremony. Display image at top/Filmmaker Justin Simien ’05 gives the keynote talk at Chapman University’s 2018 Baccalaureate ceremony.